Art Detectives Squad! Variety Color Book! 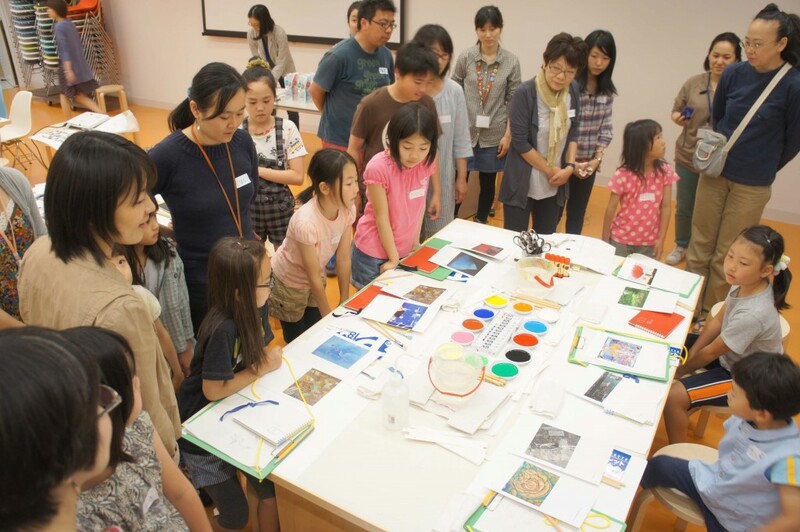 On the last day of the “Public Exhibition of Best Selection Works 2012,” based on things like the color of the paintings and sculptures exhibited, a workshop was offered to create a unique color sample book called the “Variety Color Book.” This project, offered in collaboration by the Tokyo Metropolitan Art Museum and the Bijutsu Shuppan Service Center Co., Ltd. – which runs the TOBI museum shops – was the first workshop to invite a wide range of participants since the opening of the renovated Museum. There were a total of 25 participants, both adults and children, all of whom enjoyed themselves. Of course, the TOBIRA candidates (hereafter: TOBIKOs) firmly took charge of providing support for the workshop. 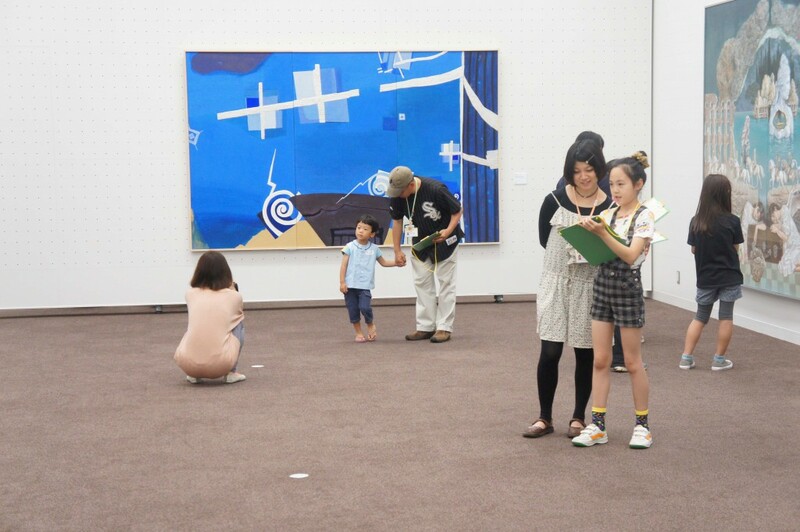 When the workshop started, everyone immediately headed to the exhibition room, and under Curator Ms. Sawako Inaniwa’s facilitation, the participants viewed a single painting. 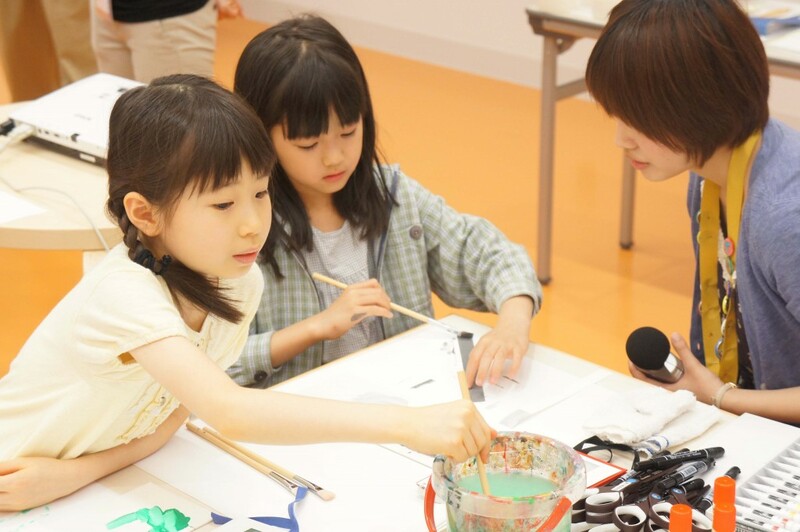 With everyone talking while viewing the paintings, they were able to discover new things together: pretty colors are hidden in unexpected places and they felt the messages embedded in the colors. Once everyone got the hang of art viewing, the TOBIKOs and participants divided themselves into small groups of approximately three people each and looked for their favorite painting. 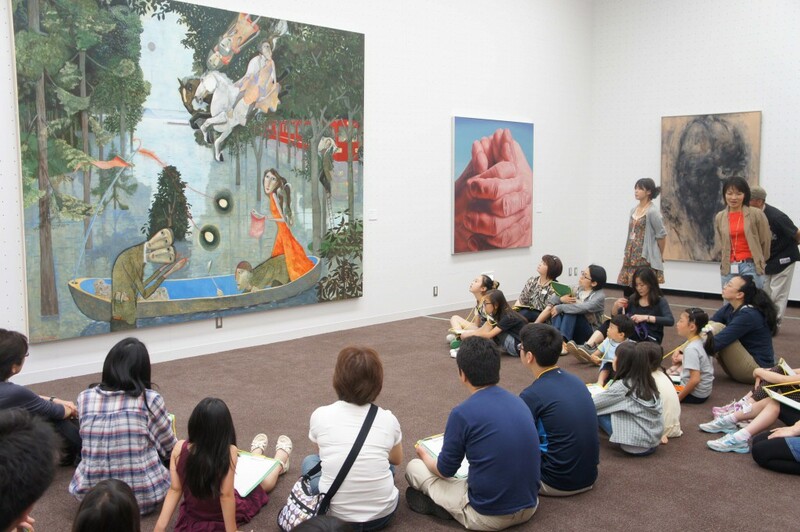 The “Public Exhibition Best Selection Works 2012” features 27 groups that are especially diligently active among numerous public organizations, and only artists from each organization that received recommendations are exhibited. This is a public organization all-star exhibition, so to speak. 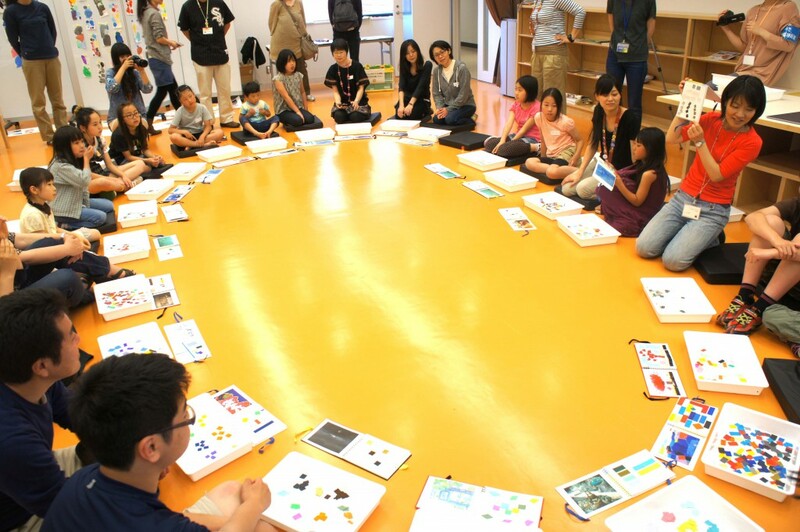 Various expressions like Japanese paintings, oil paintings, watercolor, crafts and sculptures filled the exhibition room. 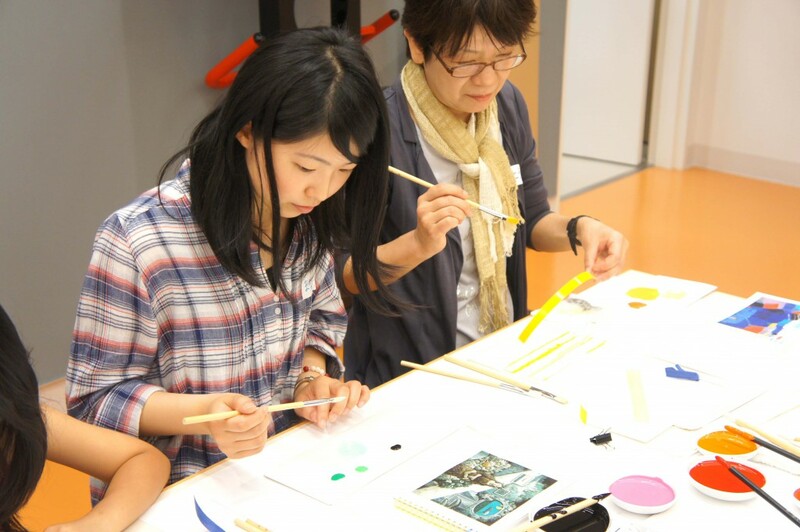 While speaking about various things with the TOBIKO, participants picked two favorite pieces and closely viewed them. The TOBIKOs seemed to be having fun as well. 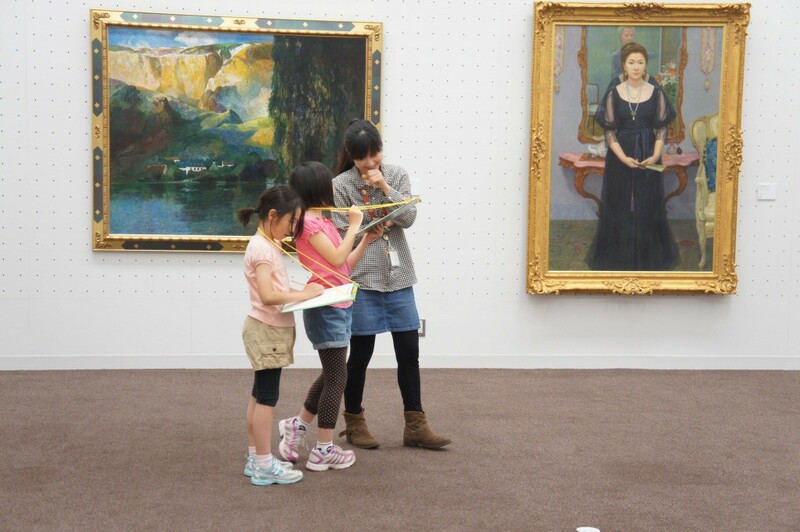 Once they found their favorite paintings, everyone gathered in the art study room and presented their favorite pieces using the evaluation card. Various paintings were lined up on a table. After the presentations, everyone created the colors present in their favorite paintings by combining paints. They carefully mixed the colors in order to make the color close to the striking colors in the paintings. Participants made five colors from each painting. The newly-made colors were painted carefully on separate strips of paper. The two paintings generated a total of 10 color strips. Next, the participants cut the painted color strips with scissors and made color pieces. The sizes and shapes, etc. of the color pieces were made with the painting as a hint – A color that was used in a large area would be a large square piece, a color that was seen only as a glance would be a tiny triangle, and so on. 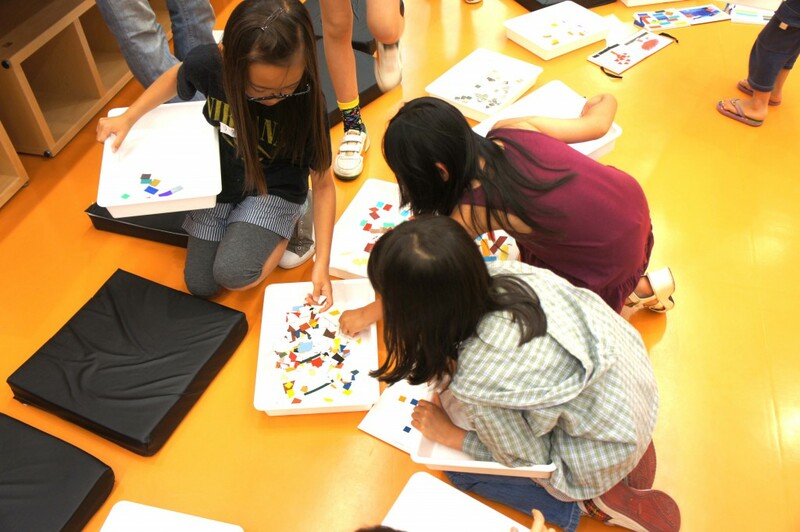 Finally, participants created a color sample book with the color pieces they had made. 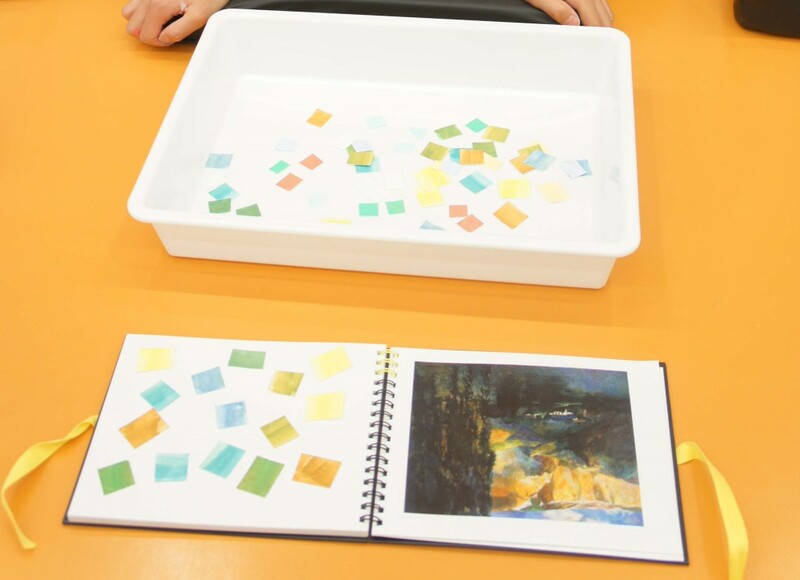 All of them glued a copy of their favorite painting into a sketch book and placed the color pieces created based on the painting right next to it. They re-organized the colors extracted from the original painting, and it created a different flavor. Maybe everyone felt their favorite paintings more deeply by thinking about the colors hands-on, rearranging the placement of colors and experiencing the effects adjacent colors create. Everyone made their own color sample book. Of course the color sample books looked beautiful, but even the inside of the tray with the leftover color pieces inside looked quite pretty as well.